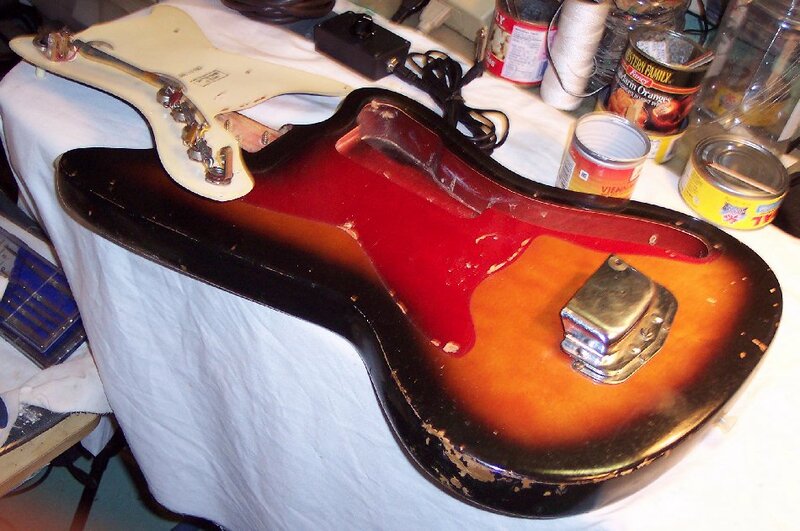 The Electronics Schematic and switching logic for this guitar is on Page 7b. It will open on a separate page keeping this page intact. This cap is on the bridge pickup tone pot. 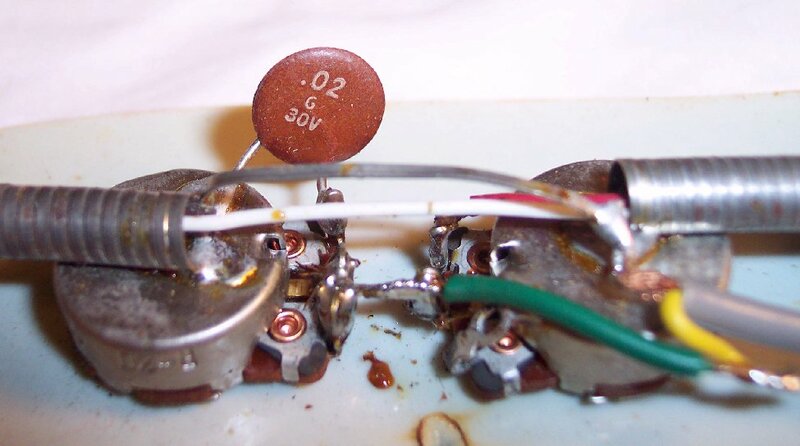 The cap on the neck pickup tone pot is .02uF, an earth brown ceramic blob like this one, and the same uF value as the original harness; But the picture I took turned out blurry and unreadable, so no use posting here. See the same cap in the original harness. With the exception of the capacitor types (different factory batches from time to time), this harness is the same as the original harness. Did I say BLEACHED-OUT RED TINT ! ? ! 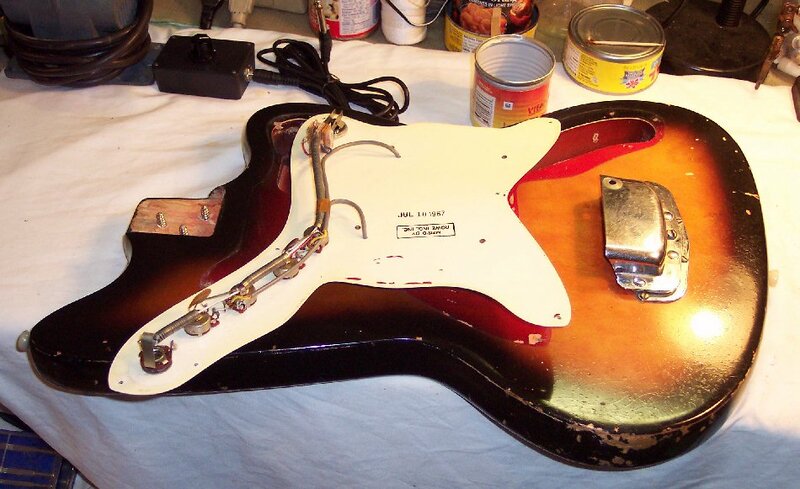 The switch and metals on this assembly had no corrosion; But was still wiped with a light coat of Ace Lub-E oil to help prevent future electrolysis corrosion common on electric guitars bare electronics metals.